Former New Jersey Gov. Chris Christie's new book, Let Me Finish: Trump, the Kushners, Bannon, New Jersey, and the Power of In-Your-Face Politics details his history with New Jersey politics and thoughts on the Trump administration. Now, Christie has written Let Me Finish, a memoir addressing his time with the Trump team, run as a presidential candidate, and Bridgegate — among other things. NPR spoke with Christie about his new book. The interview, below, has been edited for length and clarity and contains some excerpts that do not appear in the audio version. It is hard to think of a campaign that continues to cast quite such a long shadow two years into a presidency — but questions about Russia continue to dog and define Trump's presidency. So start there. You said you were in Trump Tower all the time in 2016. Was there collusion? Listen, I don't think there was — I never saw any evidence of it. ... But I could tell you that I wrote in the book I don't think the campaign was organized enough to collude. I saw it from a whole bunch of different angles. I hardly think that they were organized enough to put together a Tom Clancy-type operation with Russia. Now, I could be proven wrong on that because, as I said, I was not there most of the time from, I'd say about June or so going through all the way to the election because I was spending my time in the transition. But let me ask you about one meeting you were there for — in the summer of 2016. This was a classified briefing at FBI headquarters in New York. So briefers were there from the [FBI], also the CIA, the National Security Agency and so on. On your side of the table, just three of you: you, Donald Trump and Michael Flynn, who, of course, went on to become national security adviser. What do you remember of that meeting? In terms of what stood out about the content, I can't talk about that because it's classified. But what I can tell you ... is how incredibly inappropriate I thought Michael Flynn was. He was demeaning to the people who were briefing us; he interrupted them. He disagreed with them frequently. He was just completely out of control. And you describe Flynn in the book as a "walking car crash." Yeah, I think that's a pretty good way to describe him. And what I'll tell you is that, you know, for me, that was the day that I concluded — although I had suspicions beforehand — that Michael Flynn should have nothing to do with the campaign or, if [Trump] ever won, with the presidency going forward. And I made that really clear to Donald Trump that day, and any number of times after that, up to and including the day after the election when I met with Donald and when he was president-elect. You do, in the book, describe some of the contact with Russia as "dumb." Your word. That famous Trump Tower meeting that same summer with Paul Manafort, then the campaign chair, and Jared Kushner, and Russian lawyer Natalia Veselnitskaya. And what I say in the book I absolutely stand by, which is that this is another bit of evidence of how disorganized this campaign was. Any normal presidential campaign, when a request for a meeting like that came through, it would immediately go to the campaign's lawyer for the campaign's lawyer to vet whether anyone should be meeting with these folks from a legal perspective. I know that that didn't happen. Don McGahn was never consulted or asked about any of that, one, because I spoke to Don about it. But also, secondly, I've known Don McGahn for a long time. He's such a smart lawyer he would have never permitted a meeting like that to happen. Do you know if the president knew about it? That I don't know. I've never spoken to the president about it, but I've spoken to Don. I know Don didn't know. And no one tried to clear it with him beforehand. And that's the kind of naiveté and the bad things that were going on at times in the campaign. And I didn't know that in real time, I only knew it well after the fact. But, you know, the fact is that that's how disorganized they were — and that's why I find the whole idea of collusion to be a little bit far-fetched. But that's what Bob Mueller is investigating. And I trust that he'll conclude soon and give everybody a good view into exactly what was going on so that we can all make some decisions about how the country moves forward. Here's what I keep wrestling with, with the collusion question. You say it's far-fetched. However, you and I are sitting here speaking just a few days after the arrest of Roger Stone, the sixth of the president's advisers to be charged in the Russia investigation. If there was nothing to cover up, why does everybody keep lying to the FBI and other investigators? In my experience as U.S. attorney for seven years in New Jersey, dumb people and bad people lie all the time — all the time even when they don't have to — and I think when you look at this group of folks, this is not a group of of stellar folks with great integrity, I mean, and so I'm not surprised at their lying. I don't think you can draw the conclusion that, well, if they're lying they must be lying about something. At some point you have to come forward with evidence. And I've said any number of times across the country over the last couple of years, I have great faith and confidence in Bob Mueller. I worked with him when I was U.S. attorney and he was director of the FBI and I have great confidence in his integrity, and I think he's run this investigation with great integrity. No leaking — and, so, that's why a lot of us are speculating all the time about what he might be doing because no one really knows. But guess what? That's the way it should be. He should be keeping that stuff private and quiet until he's ready to bring charges and/or issue a report. And I have confidence that that Bob Mueller will do it the right way. Stay with your point about the kind of people who the president surrounded himself with during the campaign, during the transition, and now in his presidency. You used a different group of words to describe them in the book: You called them grifters, weaklings, convicted and unconvicted felons. What does it say that these are the type of people who Donald Trump brings into his inner circle? But I think the president now understands that because I think, in general, his choices have been much better of late than they were in the beginning. ... If you look at some of the Cabinet choices, I think Mike Pompeo is an outstanding choice as secretary of state. I think Alex Azar is a much better choice as secretary of health and human services than Tom Price was. Your official role was leading the transition, trying to convince the then-candidate that he might win the presidency — and he was going to need a plan from Day One. You assembled 30 binders full of names of people to be considered for the top jobs, full of drafts of executive orders — 30 binders that you say got thrown in a dumpster right after the election. Literally in a dumpster? How do you know that? I was told. I was told by the people that were there ... they made a ceremonial tossing out of that information and, by they, I mean Rick Dearborn and Jared Kushner and Steve Bannon. Now, I think to let me go is one thing, to get rid of the work of the 140 people that I led for six months was monumentally stupid — take me out of it. The work was not done by me, exclusively. It was done by 140 really dedicated, smart, qualified people. And I think that the administration has paid a price for that. The country has paid a price for that act of arrogance and that act of selfishness because they wanted to now be in charge of what was going to happen. Does the president not bear some responsibility here? He could get those binders fished out of a dumpster if he had wanted to follow an orderly, by-the-book transition plan. Listen, he's accountable for everything that happened. Now, he's not responsible for that decision — and I know for a fact he didn't make that decision. ... [G]iven everything else that he had going on at that time, I don't know that it was his responsibility to delve into exactly what happened. But what I will tell you is that he's paid the price for it. There's a long history between you and the family of Jared Kushner, President Trump's son-in-law — history going back to your time as a prosecutor in New Jersey. You prosecuted the case against Jared Kushner's dad for tax evasion and witness tampering, among other charges. Charles Kushner was convicted. He went to prison. And you say the son held a grudge. How did that manifest when you two were working together? If you read the book, there's an entire chapter called "Jared's Meltdown," where when Donald Trump brought me in to ask me to be chairman of the transition and to approve the press release announcing it. Jared came into the meeting, uninvited, between me, Mr. Trump and [former campaign manager] Corey Lewandowski and began to make the argument as to why that decision should be held in abeyance — even though there's a federal law that says they needed to have a person in charge of the transition by that time. Ultimately, Donald came to the same conclusion and said, "Jared, you know Chris was doing his job. He was doing what he was supposed to be doing, your father pled guilty. I don't know why you're trying to get in the way of this. But I've made my decision. And Chris is going to be in charge of the transition." So you won that round. You were in charge of the transition until the dumpsters got filled with the binders. You say that Jared Kushner got you fired from that job. Did you ever confront him about it? That's what Steve Bannon told me — that Jared got me fired from that job. And Jared has denied that that's what happened. But, you know, the fact is that I've heard from enough people to become convinced in my own mind that there's been no other plausible explanation put forward. After you were fired, you were eventually offered all kinds of positions in the Trump administration — secretary of homeland security, labor secretary, ambassador to Italy, ambassador to the Vatican. I mean, I'll just pause there and say, first of all, who turns down ambassador to Rome? That's got to be the greatest gig going. You know who turns it down? Somebody who is not rich. And if you're not rich, you can't afford to live in that home in Rome. Plus, I had two kids in high school and the idea of asking them to leave their high schools and come to finish high school in Rome seemed to me to be the ultimate bit of selfishness by a parent. And I wasn't going to do that to my kids. And even if I wanted to, I couldn't have afforded to do it. What about, say, the homeland security job? You say that you believe in the president, you wanted to advance his agenda, so why not why not help him with the agenda? It didn't excite me. I mean, if you're going to ask me to get up and leave my home, leave my family — because with kids in high school they were not going to switch schools at 15 and 17 years old — I just simply was not going to leave it for something that didn't really excite me, where I really thought that I could make a difference. And, frankly the secretary of homeland security and the Department of Homeland Security, to me, is a mess — just structurally, it's a mess. It's a hodgepodge of a whole bunch of different departments that, in my view, don't belong together. And I think it's set up for failure. ... I don't need another title. I've been governor. I've been U.S. attorney. I'm a father and a husband. I don't need another title. Is it true that he offered you White House chief of staff just recently when John Kelly left? He never offered me White House chief of staff. He brought me down there, and we had a long, 90-minute conversation about the possibility of the job. I went home and slept on it — and called him back and told him I just didn't think it was right for me and asked for my name to be withdrawn. ...The other jobs I said no to immediately. I slept on it because it was tempting, but I really felt like, again, for me in my own life, this was not the right time to go into that situation. And I decided that it wasn't the best thing for me. And that's what I called and told the president. Do you still talk to the president? What kind of advice you give him? All the time. ... What I tell him, for instance, let's say, about the most recent incident regarding a shutdown of the federal government: I was governor with a Democratic legislature my entire time as governor of New Jersey. And the fact is, if you're going to do something that's very confrontational with your legislative body, you better have a plan for a way in and for a way out in case things don't go well politically. That was the advice I gave him about how to do it. And I think he was convinced by others that they were going to be able to handle this situation for him and that he would be able to get [Congress] to give in. And I think we learned that that's not the way it worked. And I think he learned a big lesson in the last 35 days — and we're going to see how the next 21 days get handled as a result. There have been reports of late that Jared Kushner is basically kind of de facto operating as White House chief of staff. Do you have any insight into whether that's true? I don't know if it's true. But let me say this: There is simply no one more influential in the White House on the president than Jared Kushner. He's not the only person who he listens to, but I don't think anyone has more influence than Jared has. We're going to look back now to February 2016. Chris Christie, then the governor of New Jersey, had just dropped out of the race for president. It was time to make a decision. Who should he endorse? Well, that February 26, Christie turned up unannounced at a campaign press conference in Fort Worth, Texas, and stunned reporters by saying this. CHRIS CHRISTIE: I am proud to be here to endorse Donald Trump for president of the United States. CORNISH: Six weeks later, Christie was announced as the leader of candidate Trump's transition team. And we're going to let our co-host Mary Louise Kelly pick up the story from here. MARY LOUISE KELLY, BYLINE: The story is that through the summer and fall of 2016, Christie crisscrossed the country with Trump, led his debate prep, sat in on classified briefings, all of which gave Christie a front-row seat on the Trump campaign, all of which he writes about in his new memoir, "Let Me Finish." Governor Christie, welcome to ALL THINGS CONSIDERED. CHRISTIE: Thanks for having me. I'm looking forward to speaking to you. KELLY: And we are looking forward to speaking with you. So it is hard to think of a campaign that continues to cast quite such a long shadow two years into a presidency, but questions about Russia, as you know, continue to dog and define Trump's presidency. So start there. You sat in the meetings. You were in Trump Tower all the time in 2016. Was there collusion? CHRISTIE: Listen; I don't think there was. I never saw any evidence of it. And I don't think the campaign was organized enough to collude. KELLY: You didn't see evidence of collusion, and you think they were too disorganized to collude. CHRISTIE: Yeah. I think this group was still trying to hire field reps in Pennsylvania in August. I hardly think that they were organized enough to put together a Tom Clancy-type operation with Russia. KELLY: ...To investigators. If there was nothing to cover up, why does everybody keep lying to the FBI and other investigators? CHRISTIE: Well, in my experience as U.S. attorney for seven years in New Jersey, dumb people and bad people lie all the time even when they don't have to. I'm not surprised that they're lying. I don't think you can draw the conclusion that, well, if they're lying, they must be lying about something. I have great faith and confidence in Bob Mueller. I worked with them when I was U.S. attorney and he was director of the FBI. And I think he's run this investigation with great integrity, and I have confidence that Bob Mueller will do it the right way. KELLY: Stay with your point about the kind of people who the president surrounded himself with during the campaign, during the transition and now in his presidency. You called them grifters, weaklings, convicted and unconvicted felons. What does it say that this is the type people who Donald Trump brings into his inner circle? CHRISTIE: Well, I think that there's been a lot of really bad personnel choices - Mike Flynn, Jeff Sessions, Omarosa Manigault and some of the other folks that he brought into the White House - that had no business being in the White House. And I think, you know, it's difficult for someone who has run a family business beforehand with no shareholders and no board of directors to understand how important each and every one of those personnel decisions are. KELLY: Your official role, as we mentioned, was leading the transition. You assembled 30 binders full of names of people to be considered for the top jobs, drafts of executive orders - 30 binders which you say got thrown in a dumpster right after the election. KELLY: Literally in a dumpster. KELLY: How do you know that? Did you see it? CHRISTIE: No, in Washington, D.C., they made a ceremonial tossing out of that information. And by they, I mean Jared Kushner and Steve Bannon. CHRISTIE: Well, I mean, listen; a decision was made, and I was told by Steve Bannon, as I write in the book, to let me go two days after the election and that that instruction was given to him by Jared Kushner. Now, I think, to let me go is one thing. To get rid of the work of 140 people that I led for six months was monumentally stupid. And I think that the administration has paid a price for that, and the country has paid a price for that act of arrogance and that act of selfishness because they wanted to now be in charge of what was going to happen. KELLY: Does the president not bear some responsibility here, though? He could get those binders fished out of a dumpster if he had wanted to follow an orderly by-the-book or by-the-binder transition plan. 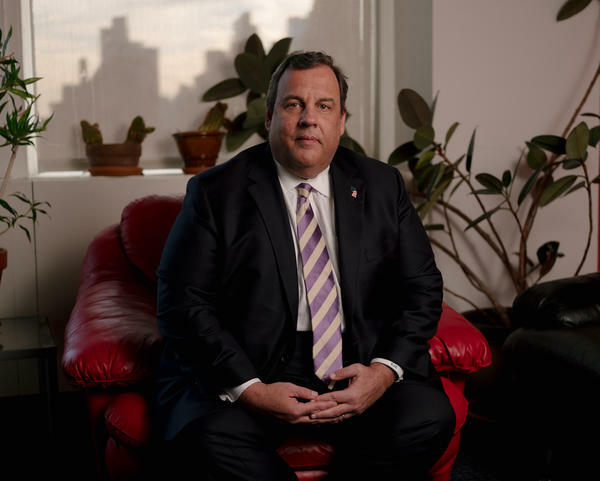 CHRISTIE: Listen; he's accountable for everything that happened. Now, he's not responsible for that decision, and I know for a fact he didn't make that decision. They told him we're going to fix the transition. There's problems here. We'll take care of it. And given everything else that he had going on at that time, I don't know that it was his responsibility to delve into exactly what happened. But what I will tell you is that he's paid the price for it. The well-researched, well-crafted executive orders that we had viewed by a panel of lawyers, you would've been much better off working off those executive orders rather than ones that were written by Steve Bannon and Stephen Miller on the back of an envelope in some office of the White House. KELLY: On Jared Kushner, there's a long history between you and his family, Jared Kushner, President Trump's son-in-law, history going back to your time as a prosecutor in New Jersey. You prosecuted the case against Jared Kushner's dad for tax evasion and witness tampering, among other charges. KELLY: Charles Kushner was convicted. He went to prison, and you say the son held a grudge. How did that manifest when you two were working together? CHRISTIE: (Laughter) Well, the way it manifested itself, if you read the book - and there's entire chapter called "Jared's Meltdown" where when Donald Trump brought me in to ask me to be chairman of the transition, Jared came into the meeting uninvited and began to make the argument as to why that decision should be held in abeyance because I had been, in his words, unfair to his father and therefore untrustworthy. And ultimately, Donald said, Jared, Chris was doing his job. You're trying to get in the way of this, but I've made my decision. And Chris is going to be in charge of the transition. KELLY: The president had your back in that first conversation. CHRISTIE: And a number after that. KELLY: Yeah, but on the getting fired from the transition, I'll just ask it bluntly - did he sell you out? I mean, he could've blocked that. CHRISTIE: Well, listen; I think he - I think what happened was he gave in to the - what was described to me by Steve Bannon, who said - the kid is what he referred to Jared as. KELLY: This was Bannon's nickname for Jared Kushner. CHRISTIE: Yup. The kid has been taking an ax to your head with the boss ever since I got here. So I think that ultimately the president just decided that he could end the battering that he was taking at the hands of his son-in-law. KELLY: Just to follow on that, there have been reports of late that Jared Kushner is basically kind of de facto operating as White House chief of staff. Do you have any insight into whether that's true? CHRISTIE: I don't know if it's true, but let me say this - there is simply no one more influential in the White House on the president than Jared Kushner. KELLY: That's who he listens to. CHRISTIE: It's not the only person he listens to, but I don't think anyone has more influence than Jared has. KELLY: Do you still talk to the president? KELLY: What kind of advice do you give him? CHRISTIE: Well, my advice I give is between me and the president, Mary Louise. But what I tell him, for instance, let's say, about the most recent incident regarding a shutdown of the federal government - with a Democratic legislature my entire time as governor of New Jersey, and if you're going to do something confrontational with your legislative body, you better have a plan for a way in and for a way out in case things don't go well politically. And I think he was convinced by others that they were going to be able to handle this situation for him and that he would be able to get them to give in. We learned that that's not the way it worked. And I think he learned a big lesson in the last 35 days. And we're going to see how the next 21 days get handled as a result. KELLY: Chris Christie - the book is "Let Me Finish: Trump, The Kushners, Bannon, New Jersey And The Power Of In-Your-Face Politics." Governor, thank you. CHRISTIE: Thank you, Mary Louise. CORNISH: We've reached out to Jared Kushner for a response, and we're still waiting to hear back. (SOUNDBITE OF CUTS' "BUNSEN BURNER") Transcript provided by NPR, Copyright NPR.